Eric John Black, 67, of Daugherty Twp., passed away Saturday, August 18, 2018, at Heritage Valley Beaver. Born July 4, 1951, in Rochester, a son of the late John L. and Edith (Lawson) Black. 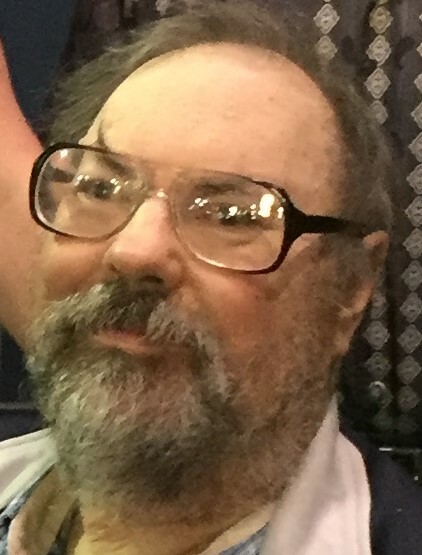 He was a graduate of New Brighton High School, Geneva College and then served in the U.S. Navy working in the Nuclear, Physics and Electronics from 1977 to 1983. He had several jobs, lastly working for the Beaver County Times and Pittsburgh Tribune Review. He enjoyed being a ham radio operator with his father, reading, volunteering for the Adult Literacy Program and loved going to family gatherings. He attended the Rochester United Presbyterian Church. Surviving are two sisters, Jeanne Black, Daugherty Twp., and Susan (Delbert) Smilak, Daugherty Twp. ; one brother, Rev. Arthur Black, Portage, Pa.; nieces and nephews, Ashley, Shelley, Jennifer and Jonathan Black, Joy Smilak-McDonald, Stephanie (Jon) Barletto, Jessie (Brett) Inscho, and Nikki (Nathanael) Camp; two great-nieces, Brooke and Jessica Barletto; and one aunt, Kathleen Baker, Delran, N.J.
Friends will be received Tuesday from 2 to 4 and 6 to 8 p.m. in the J&J SPRATT FUNERAL HOME, 1612 Third Ave., New Brighton, www.jjsprattfh.com, and Wednesday from 10 a.m. until time of funeral service at 11 a.m. with the Rev. Lee Bittner officiating. Members of the Beaver County Special Unit will meet Wednesday at 11:15 a.m. at the funeral to provide military honors.